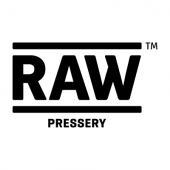 Raw Pressery is the first HPP juice manufacturer in India. Expert teams of nutritionists, medical experts and sensory analysts were brought in to create the recipes for benefits and of course, taste. Their first juices were delivered to doorsteps across Mumbai in December 2013 and now they have daily delivery of cold-pressed juices and cleanses to thousands of homes and can be found at stores across Mumbai, Delhi and Pune.